Many people think that meads are best made in the summer, but the fact is that the summer is the worst time of year for the Mjödhamnen meadmakers to work with bee keepers. Summer is when they are looking after their bees and is usually too soon for honey harvest. Bee keeper Göran Sundstrom, however, manages to have honey all year round, and “Fall in Vänge” was crafted over the summer with honey from his previous year’s harvest in the town of Vänge and region of Uppsala. This mead is made from a dark crystallized honey with nectar sources from a great variety of flowers. The majority of the nectar came from rapeseed, white clover, corn flower and goat willow. Darker honeys are usually better fit for sweeter styles and Fall in Vänge is no exception. 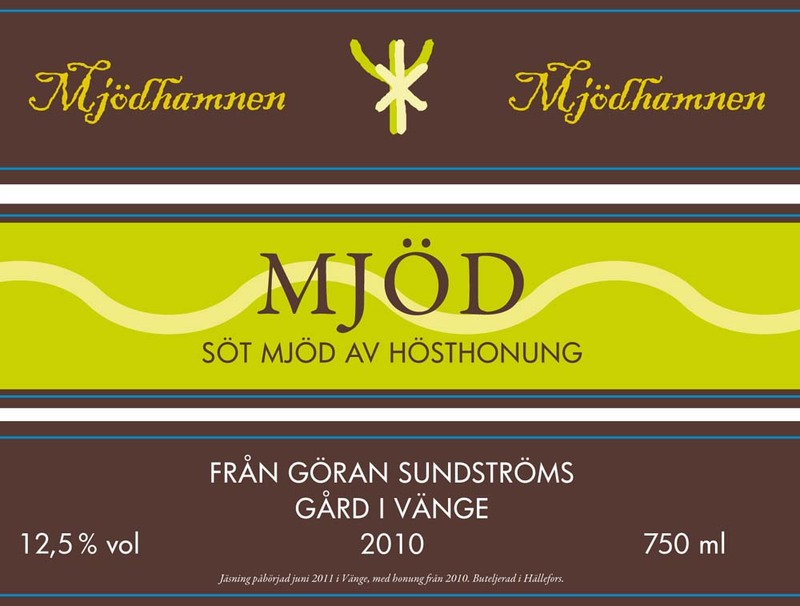 It is one of Mjödhamnen’s sweeter meads, a welcome contrast to their usual dry style. Honey from the vary same year and place was also used in Mjödhamnen’s Fruktad Flyt (in English, roughly “Fruity Flow”), but while the honey in Fall in Vänge crystallized, that used in Fruktad Flyt’s remained liquid. It was very curious, because the two honeys would have included mostly the same plants, but the meadmakers and bee keepers guess that perhaps more apple and pear blossom went into the Fruktad Flyt, which would have caused it to remain in liquid form.